Why does each cigar within a box taste different? After ten years of smoking cigars, I am struck by how every cigar I light has a unique quality that sets it apart from all others. This is true even for cigars within the same box. I can smoke a cigar one day, and the next find the same cigar to have a different strength and flavor profile. What was my favorite cigar one day may seem only average the next. Here we explore some of the factors that influence how we perceive cigar flavor. Cigars always taste best when we are really in the mood to smoke. A cigar is most appreciated when we are feeling good, or have something to celebrate. Sometimes our love for cigars, in and of itself, creates enough excitement to ensure a positive experience. But if we are feeling poorly, even a favorite cigar can be disappointing. It’s folly to waste a good stick when we just don’t feel like smoking. No matter the circumstances, the one factor to fully enjoying our cigars is being in the right frame of mind. It’s something we all have, and would be better off without. If we could approach every encounter with a “clean slate”, void of any pre-conceived notions, every experience would be new, untainted by past experiences and prejudices. This would free us to experience the full range of emotions, both good and bad, for every encounter we face. Our experiences wouldn’t be tempered by our memories. This is true for all aspects of life: people we meet, movies we see, and the cigars we smoke. When we find a cigar we love, it’s one we like to revisit frequently. But why does that cigar taste different every time we smoke it? Is it because we are trying to recreate the experience of the past? Perhaps if we could erase all memory of having smoked that particular stick, we could approach each cigar as our first. That would allow us to be more objective, and appreciate the true value of each cigar we smoke. Our expectations also reflect our personality traits. An optimist might approach each cigar anticipating a wonderful experience, and in doing so, create a mindset that maximizes his/her enjoyment. A skeptic, however, would have a very different experience, approaching each cigar with judgment. This is sure to compromise the smoking experience. The influence of cigar reviews. A high rating doesn’t mean we will like the cigar! 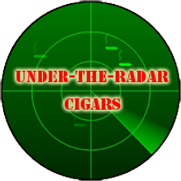 Cigar reviews are a main resource when purchasing new, untried, cigars, yet nothing influences our expectations more than reviews. We rely on them to guide us towards what we think might be a worthwhile expenditure. We don’t want to waste our money on a stick that everyone else deems unworthy. And if a cigar gets rave reviews, well then it’s something we just have to try. But once we are exposed to the opinions of others, these cigars arrive with preconceived notions as to their quality. At that point it is nearly impossible for us to judge these cigars with an open mind. We may think ourselves capable of unbiased judgment, but in our subconscious we are surely leaning one way or the other. But we must remember that cigar reviewers are subject to these same influences and expectations. They filter what they like or dislike based not only on past experiences, but also specific taste preferences. 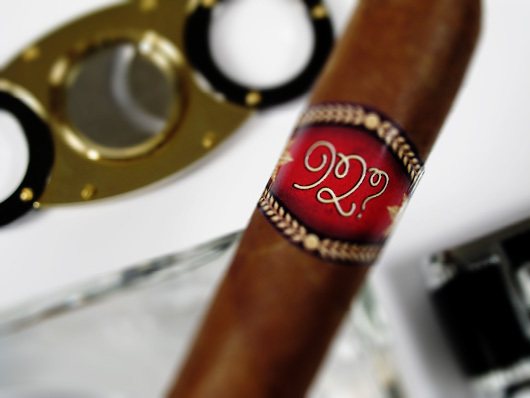 They have a palate that favors certain qualities that determines which cigars they like. So if we buy cigars based on reviews, they may not be to our liking. We many initially fool ourselves into thinking a cigar is good, only to find, days later, that the cigar isn’t to our liking. This may be the biggest factor that influences how we perceive cigar flavor. In the right setting, flavors are enhanced, while an environment hostile to cigar smoking can ruin a great cigar. 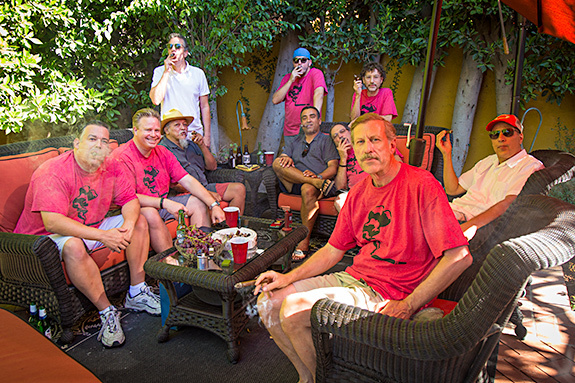 Smoking with other aficionados optimizes the cigar smoking experience. Smoking amongst friends is a great way to enjoy a favorite puro. Shared experiences can enhance many aspects of life, and exchanging cigar knowledge with like-minded smokers always makes for a great smoking experience. Sometimes, however, we prefer to be alone to smoke. In solitude we can fully appreciate the subtle nuances of a great cigar. In this context we are free to savor every puff, without distraction. In either setting we are primed to enjoy our cigars, and have set up the best possible scenario to have a memorable experience. I prefer smoking in the morning, in my office. The first cigar of the day allows our palate to be clean and uninfluenced by previous cigars. Plus it’s a good way to judge the strength of a cigar. Being the first of the day, we have not become inured to the effects of nicotine. Wind is the cigar smoker’s enemy. Much of what we taste is processed through our noses. In a windy environment, that great aroma blows away, never reaching our olfactory sense. Imagine trying to enjoy a cigar with a head cold. Without our sense of smell, we taste almost nothing. I’ve given up smoking cigars while I walk the dogs. I never enjoy even my favorite sticks on a windy day. When we smoke our cigars it’s important to focus on what we are doing. Any distraction will detract from the enjoyment of the moment. Cigar flavors are subtle and need our full attention. The right settings should enhance these flavors, not compete with them. It’s amazing how just the slightest difference in humidity can change the character of a cigar. A few percent drier and a cigar can taste thin, while an overly moist cigar can taste harsh and bitter. That’s why it’s so important to maintain our humidors. Once we determine which settings work for us, we must take pains to keep our humidors at our preferred humidity and temperature. Desktop humidors present a particular challenge. Unless we rotate our cigars weekly, the sticks near the humidifying device will be moist, while the ones farther away, at the bottom or sides of the humidor, can get dry. That’s why it’s important to circulate the air within every humidor. Passive humidifiers are far less effective than those with small fans. The Oasis is a great unit to put in a desktop humidor. A buncher loads tobacco into a Lieberman Machine. 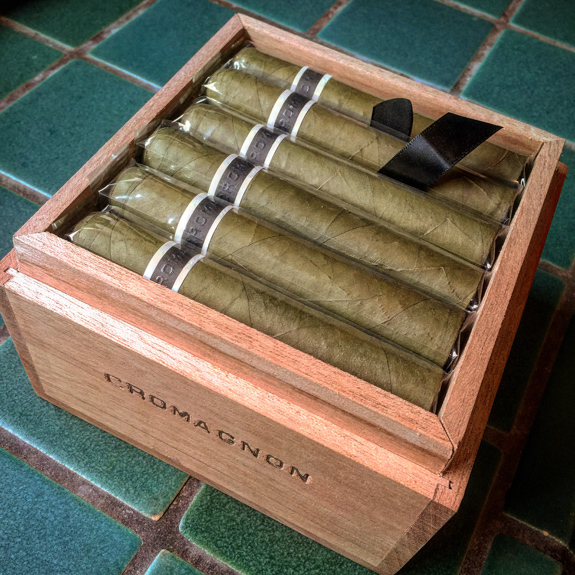 Although all the cigars in a given box look alike, there are all actually different. Cigar makers try hard to keep their cigar lines consistent from cigar to cigar, but it’s a challenge. If we break it down, each cigar is made up of individual leaves. All these leaves come from individual plants. Within a field of tobacco, some plants may get more water than others, or varying levels of fertilizer. Each plant is an independent organism and will be subject to slightly different terroir. This creates subtle flavor differences between each plant. The multiple plants used in a cigar’s blend further amplify this difference. 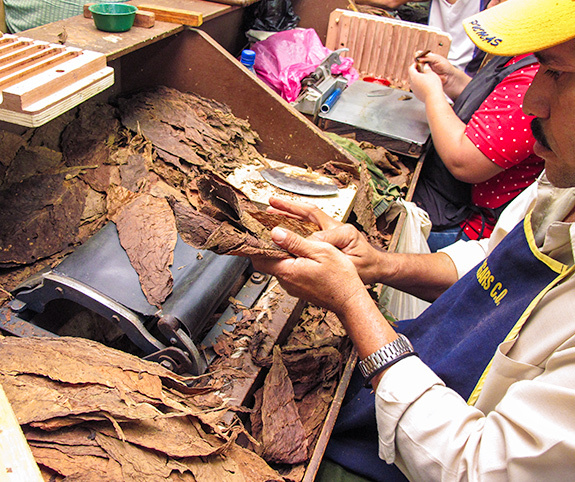 Although, technically, the same types of tobaccos are used in a particular cigar line, no two cigars will share the same plants. 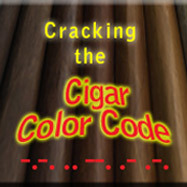 Plus, cigars are chosen by color, not flavor, when packaging boxes for retail. After months of aging, hundreds of cigars, rolled by hundreds of torcedores, are chosen based solely on appearance. The cigars may look alike, it doesn’t mean they will taste the same. Also, each cigar in a box is hand made (Hecho a mano). That means the buncher grabs a few leaves of each tobacco used in its blend, folds it into the Lieberman machine, and then rolls it inside a binder. The size of each leaf will vary, as will as the ratio of each tobacco used. Unless they were measuring and weighing each “ingredient”, it’s impossible to guarantee exact duplication from cigar to cigar. These subtle variations of each cigar within the same box seem to have a discernable affect on cigar flavor. This is less a factor for young cigar smokers. But as we get older, many of us get indigestion if we eat certain foods. Fatty meals tend to aggravate the condition known as GERD, or acid reflux, and under this condition, cigars can taste overtly spicy. This can fool the smoker into thinking he/she is smoking a cigar much stronger than it actually is. I know this from personal experience. I often let my food settle before indulging in an after-dinner cigar. Lastly, I’ve noticed that over the years, cigars within any given box will have periods when they taste great, and others when they have only average flavor. This pattern seems to follow a sine wave over time (a bit of cigar physics). A box that seems to have passed its prime will, months later, come back around and taste great again. Then sometime later, the flavor will fall off, and once again come back to full glory. I can’t explain why, and have always thought it was my mood determining how I perceive the flavors. I suspect there are many factors at work here, but the pattern seems to be true across all cigar brands. In discussing this subject with some cigar buddies, someone spoke of days when he simply could not enjoy even his favorite cigars. He said it was “his mouth”. I’ve experienced lengthy periods of time when no cigars tasted good to me. Then, suddenly, a month or so later, everything tastes great. Looking back I can see that ultimately, it was my frame of mind that influenced cigar flavor most of all. Sometimes, a good cigar can bring us out of a funk. At the end of a hard day, the ritual of smoking alone, and contemplating life can serve us well. It helps gather our thoughts, and put things in perspective. But, if we are feeling upset, or simply in a bad mood, all our life experiences will be compromised. A good movie can seem boring, a delicious meal tasteless, a conversation uninteresting. This disconnect gets more pronounced with things that are familiar. Cigars are our go-to friends; we rely on them for comfort. But if we cannot fully appreciate what they offer, the let down can be particularly disappointing. Plus when we are feeling blue, our subconscious won’t allow us to enjoy the simple things that used to give us pleasure. To put it simply, if we want to fully enjoy our cigars, we should smoke them when the conditions are right. The subtle flavors offered by great cigars are too easily overlooked if we are not receptive. Being mindful of our circumstances will go a long way to helping us understand why our cigars taste different from day to day. Excellent article that hits on all the key points. I just had a cigar yesterday, a My Father El Centurion H-2K-CT (Connecticut) Robusto a friend had recommended. My expectations were high, and fortunately lived up to the hype. But you can’t say that about every cigar. The worst time to smoke a cigar is after I’ve had several and the tip of my tongue becomes irritated. After that, I’m just wasting the cigar. Hi Gary, and thanks for your comments. I’m currently going through a phase where everything I smoke tastes good. Is it that the new cigars I’m smoking are better than average, or is it me? It’s so hard to tell. A few months ago, everything was disappointing. Go figure!